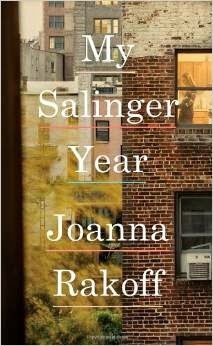 Born: January 1, 1919, New York, N.Y.
My Salinger Year, by Joanna Rakoff spoke to a great fantasy of mine. While I do not read romances with shirtless men on the cover, I am not without special nooks and crannies in my imagination where the topic thrills me, and sends me off into delicious flights of fancy. What do I lust after in my heart, to quote President Carter? I want to gobble up all I can about the New York literary scene. Joanna Rakoff, at the age of twenty-three, spent a year working at an esteemed literary agency in the heart of the best of all literary worlds. What drew me to the story right from the beginning was my abiding desire to step inside one of these establishments. My filing cabinets have folders holding rejection letters, letters expressing interest, letters asking for the full manuscript, and why I keep them all is a mystery to me. Writer’s conferences invite agents who are looking for new talent. Since they are the gate-keepers to the publishing contracts, it behooves any writer to learn something about the people who hold the keys to our kingdom. Over the years, I have learned a few things about these agencies. For one, they seem to stay in business. Two, they maintain the same address, and three, they grow in the numbers of employees. Four, they have graduate students and new-hires reading our query letters. Books on how to approach literary agents and how to seek representation are plentiful. Yet, as a voyeuristic and curious reader, I want to be right inside and sitting at the desk. Joanna Rakoff did an excellent job of putting me there. She writes about her year as an assistant, in the nineties, at the old and venerable establishment working for a woman holding the coveted post of agent for J.D. Salinger. The period of time in my life where I gobbled every word written by Salinger, is still fresh in my mind. Rakoff, well into her time in at the agency, still had yet to pick up Catcher in the Rye. 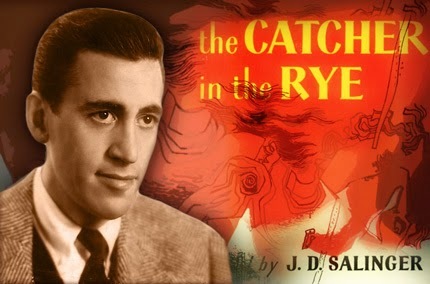 We know that Salinger is reclusive and must be protected at all costs. His agent must shield him from those who would make a pilgrimage to his front door. Rakoff has the job of answering fan letters. It has always been an accepted arrangement where a reader can write to a publisher if they want to contact the author directly. The publisher would be duty-bound to see that the mail reaches its intended recipient. Rakoff, given the standard form letter, began to veer from that, and answer letters addressed to Salinger personally. Intrigued by the emotional impact his writing has on the public, she finally reads Salinger’s work and like so many others, becomes a devoted fan. There is such clarity to Salinger’s work that it seems he can write without effort. Of course, that is not the case. His desire to keep distractions at bay has always been admirable to me. Understandably, there are those who would disagree. It is my contention that he deserved to be able to do what he did best. Never, not for one day, did I imagine that he was not continuing to write out there in Cornish, New Hampshire. This entry was posted in fiction and tagged Amazon, J.D.Salinger, writing on July 1, 2014 by Elizabeth Smythe Brinton.